Psychic attack is simply negative energy that someone sends with the conscious or unconscious intention to inflict harm upon you, your life or your family. Harm can be launched towards your emotional, physical, spiritual or mental state. Those negative energies can be projected in the form of thought, based mainly upon jealousy toward you. It can also happen for many reasons other than jealousy. My belief is that psychic attack can be influenced 98% of the time by someone in your surrounding that you already know, even friends or family members, although is not always intentional, as I said before these thought forms can be sent either sent consciously or unconsciously. When they are sent unconsciously, the person sending the thoughts are doing so without their own awareness and jealousy, envy or anger are usually the motivation behind them. A consciously attack is when someone deliberately means harm to you and can be compared to black magic, witchcraft and spell casting. Your life is progressing forward while theirs is stagnant. They are envious of your looks, your career, your wife or husband, your environment. Mental Attacks- are carried out by spirits or people possessing the psychic ability of telepathy, mind reading, some forms of empathy and others of the like. These attacks can cause light headiness, nightmares, fainting, disillusions and confusion. Psychical Attacks- are carried out by spirits, people that possess any of the kinetics or others that can affect the psychical realm. These attacks can cause psychical damage such as bruises, cuts, broken bones and other such injuries and even death. 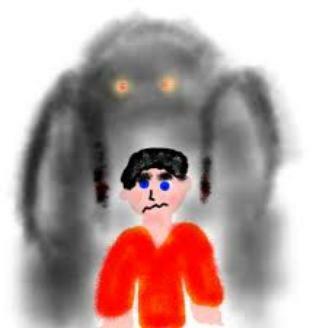 Controlled Spirit Attacks – are attacks like the ones above that are carried out by spirits that are ordered to attack another person. These attacks occur when someone uses a spell, curse, summon, or makes a deal with the spirit. The magnitude of the attack depends on how much energy the caster uses or what the spirit gets in exchange. If the spirit doesn’t get much in return a simply block or shield will block the attacking spirit. While if the spirit gets the caster’s soul and something else of high value to the spirit, it will continue to attack the person. The only way to stop the spirit at this point is to put up shields, blocks, and rely on your guardian angel to fight it off or in some chases divine help.